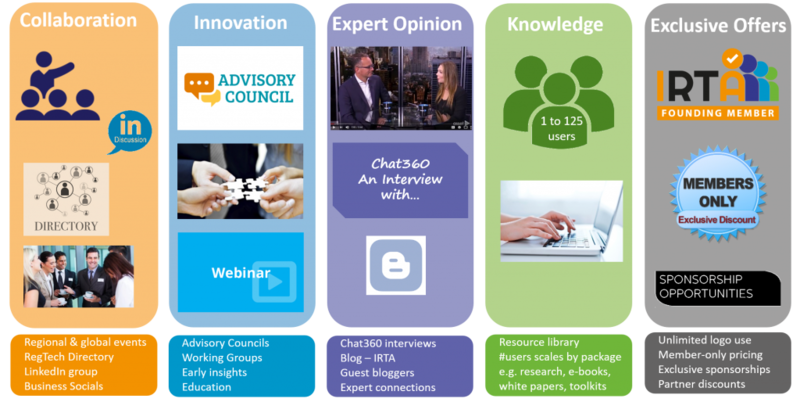 Take a look at what you can expect when you join the IRTA. We are a young and fast-growing Association, adding to the member benefits every day. 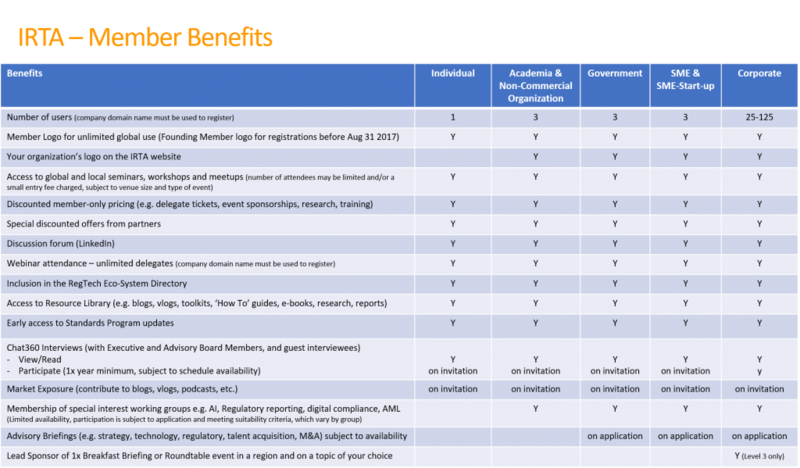 The IRTA exists for your benefit, so be sure to email members@regtechassociation.org with suggestions.